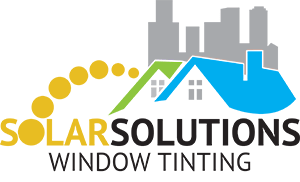 What Are Security Window Films? With the recent shootings, school administrators, teachers, and students are all worried about security. One easy way to up security and to increase the safety of all on campus is through security window films. Find out all about how your school could benefit from this article. Security window films are protective glazing products professionally retrofitted on the inside of your glass windows. This glaze is created to control glass failure caused by bomb blasts, forced entry, and inclement weather. Many schools are turning to security window films because of the low cost and high effectiveness. The School District of Beloit Turner, for instance, is installing security film on windows after cutting their school resource officer due to budgetary restraints. Security films are an easy way to increase the safety of all present. For schools, security films offer a number of benefits. Students have a clear view through the window, but individuals outside cannot see into the building. This is due to the “frosting” effect many films offer. In residential homes, this benefit is mostly used for privacy. In schools, it minimizes outside threats because of the inability to see into the classrooms. Proper school security keeps access points to a school closed. However, windows are a prime candidate if doors are inaccessible. Unless a district employs security window films. The film is designed to hold the glass together. When an intruder attempts to break through the glass, it doesn’t shatter to allow entry. Instead, it receives punctures and cracks but remains in one piece within the window. With the rise of “bump keying,” in which a criminal uses a key and a “bumping” tool to shatter a window, this is a particularly effective option. In fact, it’s so useful Consumer Reports and the Las Vegas Police recommend it to deter intruders. Because the glass holds itself together upon impact, it means those inside a school won’t have to worry about flying shards or scattered bits of glass. This is a particular issue in schools using wired glass. Each year, there are approximately 2,500 glass door injuries in schools. Almost all of them involve wired glass, which breaks easily and exposes jagged pieces of glass and wire. With security films, the glass does not break, keeping students and employees safe from injury. In addition to protecting students and staff, security film offers protection from harmful UV radiation. Even indoors, the sun’s rays permeate. Especially for students sitting next to a window, filtering harmful UV rays means fewer chances of associated health conditions. Further, the film reflects the heat streaming through the window from the sun. This helps to reduce energy costs. Children are the future, and it is up to school administrators and school boards to implement necessary safety precautions. Security window films are an easy, inexpensive layer of protection every school benefits from. To find out more about security films, contact our representatives by phone or via the web. Our company is happy to help protect our students and our future.